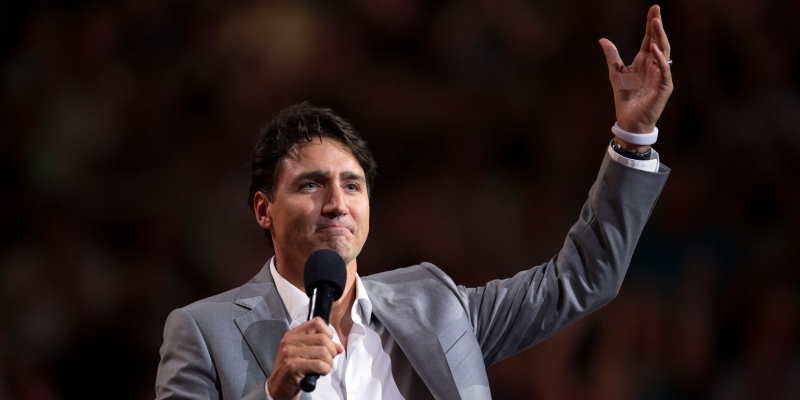 Last Week, Prime Minister Trudeau continued his fight against climate change with his escalating “pan-Canadian” carbon price, which will kick in at $20 per tonne in 2019 and rise by $10 per year to reach $50.00/tonne by 2022. In Orwellian speech, the prime minister rebranded what he’s doing, from punitively taxing energy production and consumption to “putting a price on pollution.” But have no fear, you’ll get some of that money back, at least if the federal government imposes taxes on your province. According to reports, “Ottawa estimates that the average Ontario household will pay $244 in direct and indirect costs next year, and will receive $300 under the ‘climate-action incentive,’ for a net benefit of $56. In Saskatchewan, the average family would pay $403 in carbon-tax costs and receive $598 in rebates. In Manitoba, the costs will be $232 and the rebate $336. In New Brunswick, the breakdown is $202 and $248.” Of course, we don’t know what it will be in Alberta, as the government may change hands and nix the Alberta carbon tax. And of course, despite magical pledges that Canadians will get more back than they pay, in reality, that’s silly. The businesses that provide us with goods and services must pay the tax, and won’t receive a rebate. They will pass their carbon taxes to you in the form of more expensive meat, daycare, gasoline and more expensive, well, everything. But wait, you say, Canada has pledged to limit emissions to meet the United Nations goal of limiting atmospheric heating to 1.5 degrees Celsius, a threshold, they tell us, that imperils human life. But will the Trudeau tax do anything to avoid that nightmarish scenario? Well, no. Not even close. The United Nations Intergovernmental Panel on Climate Change recently released a “special report” on climate change, which supports the contention that warming above 1.5 C is approaching rapidly (IPCC estimates that tipping point will hit in 2030), and will be catastrophic if exceeded. But buried in the minutia of the report is an admission of just how high carbon taxes must rise to limit warming to the 1.5 C agreed to in the Paris Accord. To simplify, the midpoint for the range of taxes listed above in 2030 is US$3,156 per tonne of greenhouse gases emitted (that’s C$4,140/tonne). An analyst in the United States, Benjamin Zycher, calculates the midpoint tax would add US$29 per gallon to the price of gasoline (C$7.63 per litre). At current exchange values, that equates to roughly C$10 per litre of gasoline. As most cars have gas tanks that hold between 40-60 litres, you’re looking at somewhere between C$400 to C$600 to fill your tank with gas. Such taxes would be economically punishing (to put it mildly) and would be highly regressive on lower-income Canadians. So for Canada, this is the reality—a $30/tonne carbon tax won’t satisfy the UN. Nor will the $50/tonne in the federal backstop plan for 2022. When it comes to carbon taxes, the sky is the limit.